Online sales of carpets proposed by Morandi. They are all strictly hand-knotted, quality carpets that are unique with a special decorative force due to their design, modern colours, vegetable dyes and hand-spun wools. 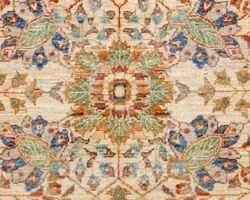 They are divided by category or collection into modern carpets, Persian carpets, classical carpets, Caucasian carpets, other carpets such as Turkish carpets, antique carpets, distinguishing between antique Chinese carpets, antique Anatolian carpets, antique Turkman carpets, new and old Turkish carpets and other carpets. 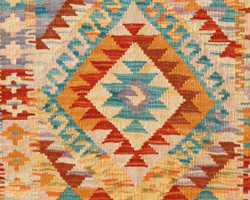 We have not neglected Kilim carpets which are flat woven, dedicating a section to them together with Kilim patchwork carpets or other patchwork carpets. We have inserted reloaded carpets into our collections of modern and contemporary carpets. 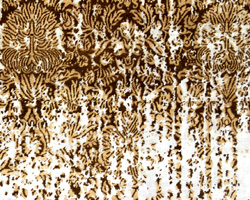 When making his selection, Fabio Morandi paid particular attention to the function of furnishing, with living-room carpets of all sizes, large and small carpets for every environment, from bedrooms to living-rooms, carpets for studies, children’s rooms or bathrooms, carpets, also known as runners, for corridors, hard-wearing carpets for entrances. The contemporary carpets of many of our collections can also be custom-made to measure. Morandi carpets have been selected from small manufacturers attentive to the quality and uniqueness of the knotted carpet. They all have a certificate of guarantee and a special Morandi guarantee. They are all knotted, no child labour was used in their making and can be found only in Morandi Tappeti shops. Customers can take advantage of the restoration laboratory which guarantees assistance for any kind of negative event the carpet may be subjected to over time. Cleaning and restoration of the carpet, carried out by our master restorer Ufuklar, ensure constant after-sales service. Morandi stands out for its vast choice of carpets. Let’s take as an example Persian carpets. Here you will find carpets coming from the smallest villages, from Kurdish carpets to those from the Hamadan and Malayer areas, carpets from Ferahan and from Tabriz to Khorassan, from the whole of Iran, representing the manufacturers of the cities of Isfahan, Kashan and Goom, carpets from Kirman and carpets knotted by the great Bakhtiari families of Iran and the peoples of Fahrs in southern Iran with the Qashqai carpets of the peoples of Afshar and Kamseh. I don’t want you to miss our collection of antique Persian carpets where you will find some examples of period pieces knotted over a hundred years ago such as Serapi and Heriz carpets and the masterpieces by the Mohthascem and Hajji Jalili master carpet weavers. The general characteristics of the item are described together with the specific ones of its area of origin and the characteristics of the collection to which the carpet belongs. Entering further into the site you can find the detailed file where there is also a description of each single, unique carpet. As well as for sales online or in the shops, the website is also useful for learning about the world of carpets with a rational and western-world view which analyses and closely examines the technical and structural characteristics of the carpets. 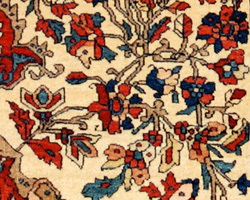 There is a section dedicated to classical carpets, which are new carpets with a modern interpretation and traditional motifs: the designs are decorative, open-field and wide-ranging and thanks to the hand-spun wools they are bright and light-coloured with delicate vegetable dyes playing tone-on-tone. They come from Central Asia, so from Pakistan and Afghanistan, knotted in small workshops and have extraordinary technical characteristics, and are sold in Italy by Morandi Tappeti. These manufacturers take the name of the nearby town of a certain importance, such as Peshawar, Hyderabad or Islamabad. To prevent confusion with lower-quality manufacturers to whom the same name is attributed, the Morandi certificate of guarantee specifies in detail the technical characteristics of these carpets (warp, weft, fleece, knot and colours). Under the name of Agra, in the collection in this section of classical carpets, are the carpets knotted in Pakistan with Agra designs, therefore the best choice of carpets to be found on the market. In this case we offer the guaranteed lowest price. 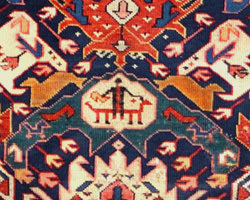 A separate chapter is dedicated to Caucasian carpets which includes a section dedicated to new and old Caucasian carpets and three sections dedicated to collectors’ antique Caucasian carpets divided into three groups: Kazak, Karabagh and Shirvan. The division is not just territorial between western Caucasus, the Kazak area, southern Caucasus (where the Karabagh or Karabakh carpets are knotted) and central and northern Caucasus (the Shirvan area), but also structural, with different traditions and techniques. 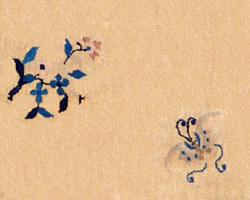 We will examine these characteristics more closely in the page on Caucasian carpets. The world of carpets is vast, and for convenience we have brought together under the wording “other carpets” antique, highly-coloured Anatolian carpets, of great tradition and as highly sought by enthusiasts as Caucasian ones; old and new Turkish carpets, aesthetically appealing and imaginative productions of Asia Minor; antique Chinese carpets, refined and elegant, knotted in Peking between the end of the 19th and the beginning of the 20th century; antique Turkman carpets made by the Beshir, Tekke, Yomuth, Ersari, Salor peoples; old and new Turkman carpets, attractive and period pieces even though less than 100 years old and other antique carpets, or prestigious antique carpets such as Khotan and Agra ones together with other carpets of all kinds of names.